Beautiful sunny days and warm weather are on their way, so be prepared for them with this list of fun summer activities for the whole family! The summer season is coming. Finally, we will be able to enjoy the sunshine, the beautiful long days, and breathe the fresh air we’ve all been longing for. But wait! Now that summertime is right around the corner, how do you and your family plan to make the most out of it? If you are like most people, you probably think that you have to spend huge amounts of money on vacations or do extravagant things for you to enjoy the summer season. But that’s not true. There are many low-cost, fun, and memorable outdoor activities that you and your family can do together to make the most out of this season. Here is a list of 15 summer activities that you and your family can enjoy. Become a magician this summer. Learn a few magic tricks and put on a show for your whole family. Well, everyone loves the feel of wonder. If you have some good magic tricks up your sleeve, you can be assured that they will be wowed by your performance. Don’t know any magic tricks? Well, worry not. All you need is to spend few hours on the internet and you will learn some amazing magic tricks. You can also teach one of your kids some magic tricks he or she can perform in front of the family. This will not only help make summer enjoyable and memorable but also help improve your kids’ self-esteem and confidence. Eating out is one of the popular summer fun ideas. Find a nice restaurant you’ve never been to and take your family there this summer. Once you visit the restaurant, don’t eat the foods that you are used to; try new foods such as Thai or Portuguese foods. Being adventurous will automatically bring fun to your holiday. Eating out will also help create a distraction-free environment so you can enjoy the company of each other. You’ll also have time to laugh and bond with each other. This will help make your family’s summer fun and memorable. But that’s not all. According to a recent research, having regular family meals will also improve your family’s health and will lead to greater happiness. The research shows that children who eat with their parents regularly have better mental health and are happier than those that don’t. Volunteering should certainly be included in your list of summer activities. There are many ways your kids can volunteer and help transform their community. For instance, you can take them to a local retirement home, where they can play games, sing songs, and talk with “grand-friends”. There are also gardening clubs that your family can join to help spruce up public spaces. Another option is to visit the sick, cook for them, or help them out with various tasks. Volunteering is fun and very satisfying; it will help make the most out of this summer. Volunteering will also help teach your family about empathy, gratitude, compassion, and community responsibility. There is something so incredible about watching the sunrise. It’ll help brighten your family’s summer and make it more fun. Watching sunrise will also give your youngsters an opportunity to see how beautiful and magnificent our world is. It will help them realize the complexities and simplicity of life. If you and your family watch and take pictures of sunrise regularly, you’ll be happier and will have an awesome time together. Treasure hunting will wow your family with an awesome adventure that they’ll never forget. It’ll give your kids something fun to do and make their summer enjoyable. Treasure hunting will also help you get more involved with your family, allowing you to learn more about their interests. How do you plan a treasure hunt? Well, here is how. On your own, hide some treasure in your house or garden. Ensure it’s a place where your kids will find easily if they follow the clues you give them. After that, draw a map with directions and clues. The map should be easy to read for your kids to understand. You can give the map an ancient look by pouring coffee on it. You can also rip around its edges to make it look old. Once you are done, hide the treasure map somewhere in your house or your kids’ room and make sure you hide it in a place where they’ll find it when playing. Think you know your hometown? Well, think again. If you do an in-depth research, you will note that there are many places in your hometown that you’ve never been to. Make a list of all these places and visit them together with your family if they are safe. You can also take a road trip together. It’ll be an awesome and fun adventure. You’ll create a source of wonderful memories and make this summer unforgettable. Watching fireworks is a satisfying experience for the soul. It’s fascinating. If you want to make the most out of this season, take your family to a fireworks show this summer. They will certainly love it. You kids will be excited to see the sky light up. There are also other fun things in fireworks show that will help you kill boredom and make your summer season memorable. Take your family to a sporting event this summer. These events offer a high level of thrill, drama, and suspense every single minute. Your family will have a good time your ties will also be strengthened. Don’t have money to take your family for a major sporting event? Well, don’t worry. There are local teams in your area that play during the summer season. Conduct a research and find out which games are being played in your hometown. Take your family for these sporting events. Yes, they offer the same excitement as other sporting events. You can also engage in fun summer sports like swimming with your family members. All you need is to visit Ninja Shark and obtain quality full face snorkel masks for them. 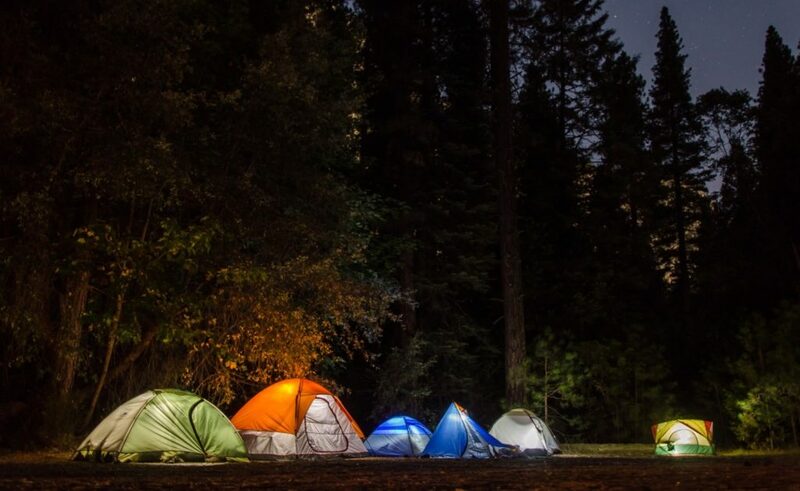 Camping is a fascinating summertime activity, and you should not forget it when coming up with your list of summertime activities. Take your family for camping this summer. It will help create a distraction-free family time since you are away from everyday life. Camping with your loved ones will help you bond and understand each other better. You’ll also be able to create lifetime memories together. If you have a toddler, however, camping is not for you. It’s a fun summer activity for adults and older children. Put your baby’s health first! Gazing into the skies and seeing the stars can also be a great way of making your family’s summer fun and memorable. Start by buying a star chart. Then select a location in your yard where you can see the heavens clearly. If you live in a city, you’ll have to find a place outside or inside the city that offers a darker sky. This will give you a better view. Regardless of where you live, the location you choose should be safe for your family. If you include stargazing when coming up with a list of things to do in the summer, you can be assured of a fabulous experience. Your family will love the whole experience. Children, especially those who have toy trucks, love fire trucks and fire stations. You can, therefore, decide to take your family to a fire station this summer. They’ll be very excited to see the modern fire trucks. They’ll also love meeting real firefighters and hearing firefighting stories. It will be an exciting and memorable field trip. That’s not all; your kids will also learn safety measures and the dangers of playing with fire, which might save their life. If you want to make summer exciting for your family, go to an outdoor concert. To enter most outdoor concerts, you’ll be required to pay a small fee. However, there are places that offer free outdoor concerts. If you have a tight budget, you can conduct a search and find out the places in your hometown that offer free outdoor concerts. Whether you’ll be charged or not, going for an outdoor concert can help add fun into your lives this holiday. You and your kids will have a blast! Cooking together is fun, and your kids will love it. You should, therefore, decide to include cooking on your list of fun summertime activities. Start with simple recipes. Kids especially love to cook pizza and biscuits because they can squish the dough with their tiny fingers. Cooking together with your kids will help them learn how to prepare common meals. Also, it’ll help cultivate a good relationship with them. If you are planning to learn a new skill this summer, make your kids part of it. They will have a good time learning a new skill with you. The summertime activity will also give you an opportunity to learn more about your kids and their interests. The relationship between you and your kids will become stronger. When your kids see you struggling to master a new skill, this teaches them not to give up. If your family loves art and craft, try to incorporate it into your summertime activities schedule. Talk about the things they make; this can be an opportunity to make learning fun. This will also give you a chance to interact with your kids, discover their talents and interests, and become a better parent. Take pictures of the things they make; this will show them that you are supportive and that you care. It will also encourage them to have fun. You don’t need huge amounts of money to make your family’s summer fun and memorable. All you need is a little imagination and creativity. With this, you will be able to come up with low-cost, memorable summer activities that will enable your family to have a blast this summer. Remember to check out our informative website for family travel and lifestyle related posts.